Living with a colostomy bag can be an entirely new and sometimes hassling experience for a patient. 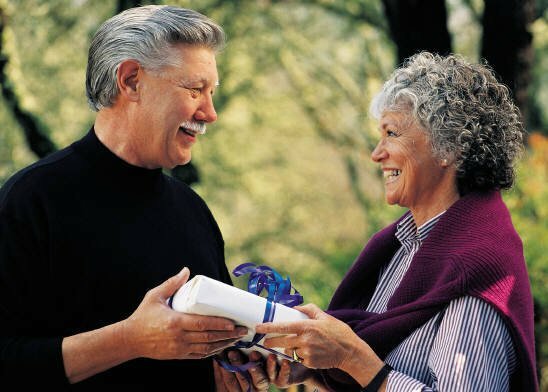 After you recover from the surgery, you are sure to find many things that are quite different from what they were before, but there are some effective tips with which you can use to lead a healthy and happy life, even with a colostomy bag by your side. While living with a colostomy might be a challenging experience; adapting yourself to a new lifestyle is not that difficult; especially when a few changes in lifestyle are managed effectively. With good guidance and a sound knowledge of the medical condition for which a surgery was done, ostomy patients can push forward with a full and robust life. Here are a few of the tips which will make it easier for you to live with a colostomy bag, and enjoy a healthy and active lifestyle as well. Just follow some simple rules and tricks, and you will be able to start leading a happy and active life within no time after your colostomy surgery. Avoid all medication that might cause constipation or diarrhea. It is best to consult your doctor and discuss your case with them. They will instruct you about which medications to avoid and which to continue during your post surgery period. Compliance with your doctor's recommendations will keep you comfortable and enjoying life. Choose a careful diet plan. It is important that a patient recovering from colostomy surgery avoids foods which cause excessive gas. Cabbages, nuts and beans are a definite no-no. If you wish to avoid discomfort after the surgery avoid foods that produce gas. Consult a dietician who can offer you guidance as to the ideal diet plan, which will not cause diarrhea or constipation problems after your colostomy surgery. Strive to accustom yourself to the idea of living with a bag hanging at your side. The latest ostomy supplies and bags are designed to be inconspicuous and are not easily discernible. In this way, a recovering patient can lead a normal life with a flat colostomy bag that is inconspicuous and discreet. 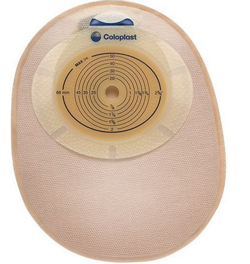 There are two types of colostomy bags available for patients in the market. 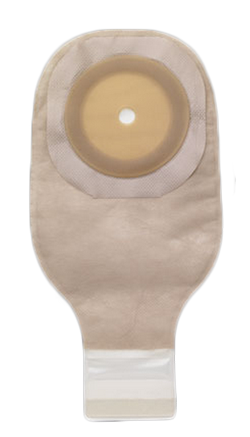 A one piece ostomy pouch consists of a flange and a bag that are joined together. Ounce full, a closed ostomy bag can be removed and disposed. A drainable ostomy bag can be simply drained and continued to be used. The two piece ostomy pouch has a skin barrier and ostomy bag that are separate but attachable through a flange. The skin barrier stays attached to the skin for a number of days. When the colostomy bag is full, it can easily be removed and drained throughout the day. After draining, the ostomy bag is reattached and reused. Colostomy surgery patients need to take care to avoid any skin irritations and infections, which are caused as a result of stool leaks from underneath the bag or around the flange. Another thing to watch out for is the development of a hernia around the colostomy area, which might cause the bowel to become really narrow. The ideal way to avoid any medical issues is to adopt a healthy and balanced diet plan after a colostomy surgery. It will take some time, but with a good diet and fresh colostomy bag supplies, you will be able to lead a healthy lifestyle once more.